KSOM 2017 Admission Application Form: KIIT School of Management (KSOM) invites eligible candidates to apply for the entrance exam for admission to the MBA courses. KIITEE Management 2017 is a national level entrance exam to be conducted across 15 cities in India. It is computer based test and based on the marks obtained in the test, aspirants will be called for Group Discussion \ PI. The KSOM 2017 exam is a common entrance examination for the seeking admission of MBA courses at KIIT School of Management and MBA (Rural Management). You can get all necessary information about the KIIT MBA admission 2017 from our examlevel.com web portal. If you are having any queries related to the KIIT MBA entrance exam 2017, then comment below. Every candidate should read the eligibility criteria details carefully before filling the application form for KIIT University MBA admission 2017. Eligible aspirants are advised to apply for this KIIT MBA admissions 2017 before the last date (21st January 2017). You can share this web page in the social media pages because it will be useful for your friends also. We are doing our best in supplying the latest information related to the KIIT management quota admission 2017 in our website. If you want regular updates about the KIIT management entrance test 2017, then you can visit our website regularly. The direct link apply for this KIIT School of Management MBA admission 2017 is available below. Educational Qualification: Graduates in any discipline with a minimum of 15 years (10+2+3) of education and minimum 50% marks (equivalent CGPA). KSOM Admission 2017 Selection Process: Candidates will be shortlisted based on the Management entrance exam (KIITEE 2017). After that, they can called up for Group Discussion and Personal Interview. Applicants have to choose the mode of apply for the MBA courses in KIIT School of Management. They can apply through either online or offline mode. Candidates have to download the application form format from the online official web portal. They have to take the printout of it in the A4 sheet only. 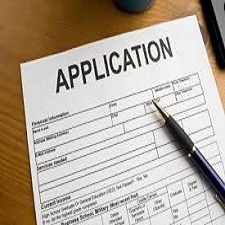 Before filling the application, applicants should fill all details in the application form. Demand Draft should be drawn in favour Of "KIIT School Of Management" Payable at Bhubaneswar. Send the filled application and Demand Draft (DD) to the address given below. Address: Chairperson, Admissions, KIIT School of Management, KIIT University, Krishna Campus, PO-KIIT, Bhubaneswar - 751024, Odisha. The link to open the official website is available below. Click on the "Apply Online" button to fill the online application form. Then you have to enter all mandatory details without any mistakes. Do the payments of the application form by credit \ debit card or net banking. Finally submit the online application after online application form. NOTE: Students who have taken CAT\MAT\XAT\CMAT\GMAT (or) ATMA can also apply to KSOM MBA admission 2017 with valid marks. The test should have been taken for the relevant admission year, i.e.., CAT 2016 \ XAT 2017 score can only be used for KSOM 2017 MBA Admission. High School Certificate & mark sheet. 12th \ HSC Certificate & Mark sheet. Graduation Certificate and Mark sheet.